This is my proudest achievement, comic-wise. 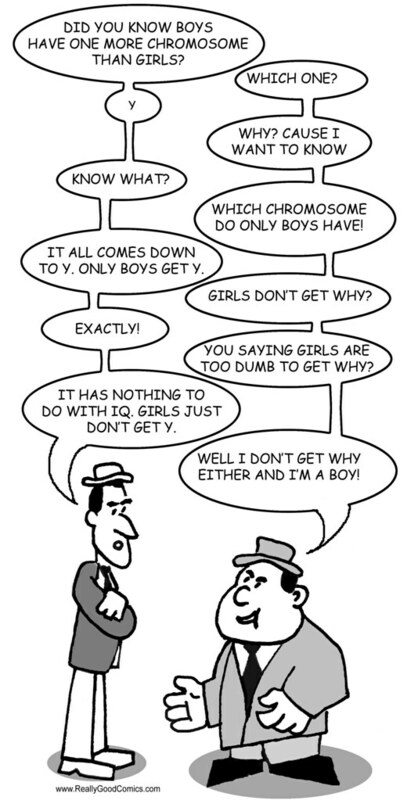 Where else have you ever seen a comic about the Y chromosome? This is adapted from Abbot and Costello's classic "Who's on first" routine which, if you've never seen it, you just have to check out. You can find it here.